IOE&IT Director General, Lesley Batchelor OBE, featured on the Thordis Frdiriksson Breakfast radio programme. IOE&IT Director General, Lesley Batchelor OBE, featured on the Georgey Spanswick at Breakfast radio programme. IOE&IT Director General, Lesley Batchelor OBE, appeared on the BBC World Lunchtime News to discuss the cost of Brexit and implications of a no-deal. IOE&IT Director General, Lesley Batchelor OBE, appeared on the BBC Look East evening news to discuss the latest happenings around Brexit. IOE&IT Director General, Lesley Batchelor OBE, appeared on the BBC World Service Marketplace Morning Report. IOE&IT Director General, Lesley Batchelor OBE, appeared on the BBC World News to discuss the latest happenings around Brexit. The government has announced that it will be inking agreements with Iceland and Norway next week. These are just two of 40 rollover deals the government is trying to agree to replicate the current deals that we have access to via the EU. Director General of the Institute, Lesley Batchelor OBE, talks about these rollover deals, the transition period and the preparations that businesses should be making. The Small Print - Why exporters need international terms and conditions. Goods shipped to the Far East today will arrive on Brexit day, how will they get these? Director General of the Institute, Lesley Batchelor OBE, talks about how to get your goods cleared quickly. 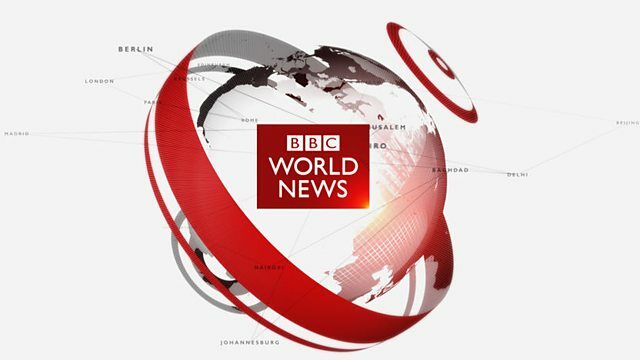 IOE&IT Director General, Lesley Batchelor OBE, appeared on the BBC World News to discuss Brexit and the possibility of goods getting stuck in ports around the world. Young President of the IOE&IT, Arne Mielken, featured on 5 Live Breakfast to talk about key numbers in the lead up to Brexit. No-deal Brexit: UK exporters risk being locked out of world's harbours. Director General of the Institute, Lesley Batchelor OBE, comments on this breaking news story. IOE&IT Young President, Arne Mielken, answers questions from viewers about Brexit covering topics such as food costs, free trade agreements and tariffs. Panic Stations - How businesses should prepare for every eventuality after Brexit. Young President of the IOE&IT, Arne Mielken, features on 'Brexplanation' explaining the WTO rules for trade. Director General of the IOE&IT, Lesley Batchelor OBE, speaks about the impact of the PM's Brexit deal defeat on businesses and how they must prepare for any eventuality. Director General of the Institute, Lesley Batchelor OBE, talks all things Brexit. A true collaboration. Working with UK Export Finance to implement the Government's Export Strategy. As opposition to Mrs May's deal builds one theme seems to be developing around the slogan, Norway Now, or another version of the deal Norway currently has with the EU. But how credible is a so called Norway deal and could a Canada style deal start to gain some currency, again? Professor Michael Keating, from the Centre on Constitutional Change, and Lesley Batchelor, from the Institute of Export and International Trade, look at the options on offer. Championing small businesses - the importance of helping smaller companies to export. Chairman of the IOE&IT, Terry Scuoler CBE, spoke with Paul Brooks, Santander’s UK Head of Manufacturing, about the opportunities and challenges British manufacturers face, and how businesses should prepare for the UK’s departure from the European Union. Planning for Brexit to ensure your teams have the right skills to help your business through the difficult times ahead. Plying our trade - How the Institute of Export is helping businesses discover and embrace international trade opportunities. Our Director General, Lesley Batchelor OBE, spoke to BBC Breakfast about the opportunity for UK businesses to increase their exports to markets around the world after Brexit. Brexit bartering - how £20 billion will barely scratch the surface. Sticky wicket - The next stage of Brexit discussions around trade are proving to be tricky. Director General Lesley Batchelor OBE talks about how Britain's borders will work when it leaves the European Union and the possible implications of a 'No Deal Brexit'. The signing of a new trade agreement could be a solution for UK exporters post-Brexit. Institute of Export & International Trade Director General, Lesley Batchelor’s message to exporters to stop waiting for something to happen and start learning how international trade works. It's good to talk - The threat of trade wars shows how important WTO rules really are. The Institute has been working with Mediaplanet on their Life Sciences campaign, which featured in the Sunday Telegraph. Featuring articles on the future of UK life sciences and its status as a global leader from key thought leaders including Dr Liam Fox, Secretary of State for International Trade, and the Institute's Senior Director for Special Projects, Mike Josypenko. VAT in the GCC - What you need to know about the introduction of the tax in the Middle East. A line to be crossed. What is next on the agenda as Brexit negotiations move on to Phase two? Trading Places. Sean Feast speaks to Lesley Batchelor OBE about international trade, presentation techniques and how to send the perfect email. Our Director General, Lesley Batchelor OBE, featured on Good Morning Scotland to discuss Trump's 'America First' policy and how it is being applied to trade as US officials have imposed tough new tariffs on washing machines and solar panels imported from outside the US after American companies complained about being undercut by firms in China and South Korea. Our Director General, Lesley Batchelor OBE, joined Steph McGovern on BBC Breakfast to talk about the state of the UK's exports. Mastering the art of exporting. Lesley Batchelor, director general of the IOE and Geoff Lippitt of PD Ports, explain how the right guidance can help businesses conquer overseas markets. What now for UK traders? Brexit negotiations are at an impasse, but what could be next on the agenda and how can SMEs best prepare? Mike Josypenko, Senior Director of Special Projects at the IOE&IT, considers the possible implications. Director General Lesley Batchelor OBE appeared on BBC News and BBC Two to discuss the Autumn budget and how it might affect UK trade and manufacturing. AEO - putting cargo in the fast lane post-Brexit. Lesley Batchelor advises how AEO certification is becoming increasingly desirable as an internationally recognised tool to keep cargo moving. Re-balancing the economy through trade post-Brexit. Institute Director General, Lesley Batchelor OBE, attended the Prospect and Associated British Ports joint fringe meeting at the Conservative Party conference entitled “How can trade re-balance the economy in post-Brexit Britain?”. The meeting brought together business people, politicians and policy experts to discuss one of the biggest challenges facing the UK economy. The importance of Free Trade Agreements. With one eye on Brexit negotiations, Mike Josypenko considers the importance of Free Trade Agreements. Inadvertent bribery. Lesley Batchelor advises how businesses can avoid being accused of bribery and corruption. Lesley Batchelor OBE features on the Dotty McLeod Breakfast Show to speak about UK exports. Jumping Upstream. Exports in the food and drink sector have gone up in leaps and bounds so far this year - partly due to a jump in sales of salmon. Lesley Batchelor OBE FCICM examines the market. Mike Josypenko, Senior Director of Special Projects, considers some of the implications for UK SME businesses of exiting the EU's Single Market and Customs Union. Lesley Batchelor OBE joins a panel to discuss the results of the General Election. Lesley Batchelor OBE FCICM considers the issue of Free Trade Agreements post-Brexit. Our Director General, Lesley Batchelor OBE, joined Steph McGovernon BBC Breakfast to look at UK exports ahead of the latest monthly ONS trade stats. Lesley Batchelor OBE FCICM reports from the Institute of Export & International Trade's latest export survey, which shows high level of optimism for global trade. How to stay agile in a shifting trade environment. Exports and the EU Customs Union: post-Brexit options. The Institute of Export & International Trade's senior director of special projects, Mike Josypenko considers some of the implications for UK SME businesses of exiting the EU's Single Market and Customs Union. Ninety seven per cent of exporters questioned in a survey said they were optimistic about growing their businesses through international trade. We spoke to Institute of Export & International Trade Director General Lesley Batchelor OBE about the results. Helping business to prepare for Brexit. Lesley Batchelor OBE FCICM continues to explore the possible impact of Brexit and what SMEs can do to ready themselves. Article 50 has been triggered, and the UK is on its path out of the EU. From exporting to employment, we hear from business leaders about their hopes and fears. 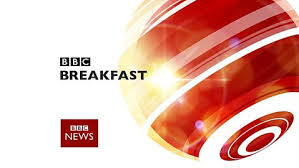 Our Director General, Lesley Batchelor OBE, joined Steph McGovern for the BBC Breakfast Article 50 A50 Road Trip to discuss Brexit and how important it is to secure the right trade deal with the UK. Survey reveals exporters' optimism for global trade prospects. Despite concerns over Brexit and the Trump win, many British exporters feel confident over engaging in global trade. What future for Foreign Exchange Options? Lesley Batchelor warns businesses with exposure to currency fluctuations to be certain of their strategy. Trading places. International trade is a thorny subject at the moment. Following the UK’s decision to leave the European Union, new trade agreements will need to be nurtured as Brexit kicks in and the Government invokes Article 50. Arguably, exporting is now more important than ever for manufacturing companies, but where do you start? Dave Tudor spoke to Lesley Batchelor, director general of the Institute of Export & International Trade (IOE&IT). Select Committees: Live coverage of the International Trade Committee's session on UK trade options beyond 2019 with evidence from Lord Jones of Birmingham, former trade minister and Lesley Batchelor OBE. Brexit, Protectionism and Trade Agreements. This month, we speak with Lesley Batchelor OBE, the Director General of the Institute of Export & International Trade. She sheds light on what to expect in the trading world and how businesses can stay on top of all these changes. What's In Store? Lesley Batchelor FCICM looks at what could lay ahead in 2017 for international business. 17:48 Director general Lesley Batchelor says while Cambridgeshire remains a largely agricultural county, there is a "huge gap" in the number of exports by small producers. Theresa May is only at the start of discussions about trade, immigration and investment. We speak to a number of experts about what happens next. Messy Business. What is a trade agreement? Lesley Batchelor FCICM OBE explains the different options open to the UK post-Brexit. Britain’s post-Brexit future could be scuppered as countries that hold a grudge against us block WTO access. Experts have warned sore states that have petty territorial disputes with Britain may try to veto a new agreement between the UK and the World Trade Organisation. Globalisation - a greater good? Does globalisation harm developing countries? Lesley Batchelor OBE believes openness to international markets spurs innovation and investment. Our Director General, Lesley Batchelor OBE, was invited to talk about trade implications of a Trump presidency. Our Director General, Lesley Batchelor OBE, was invited to talk about global trade. Lesley Batchelor OBE, Director General of the Institute of Export, discusses whether protectionism is rearing its ugly head again. Our Director General, Lesley Batchelor OBE, was invited to Teesport for a report on global trade. The report looked at globalisation and how trade has affected the UK and in particular Teesside in recent years, analysing the challenges industries are facing and the success stories. Brexit: what does it mean for online retailers? With currency fluctuations and the potential burden of tariffs and taxes, etailers worry that leaving the EU will come at an almighty cost. What does Europe post Brexit mean for exporters? As part of the EU we benefit from many trade agreements. But if we voted out in the referendum what might the negotiations look like? Our panel discuss. EU referendum: how would Brexit change VAT and import duties? Our experts weigh up the possible scenarios for a UK shoe company importing from Spain. Lesley Batchelor, director general of the Institute of Export, tells Trade and Export Finance news (TXF): “The figures are quite worrying, but UKTI are changing how they do things - they are going back to the market for ideas."